The final hole on the round and its a tricky one to finish. 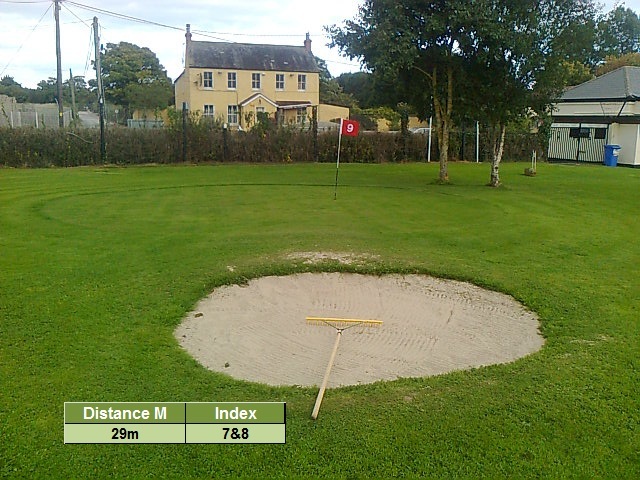 At only 29m there is a deep bunker at the front of the approach to the green. The green slopes away making it difficult to hold even the best of tee shots on the putting surface.